As temperatures rise, this time of year is perfect to cool off with a glass of Manzanilla! 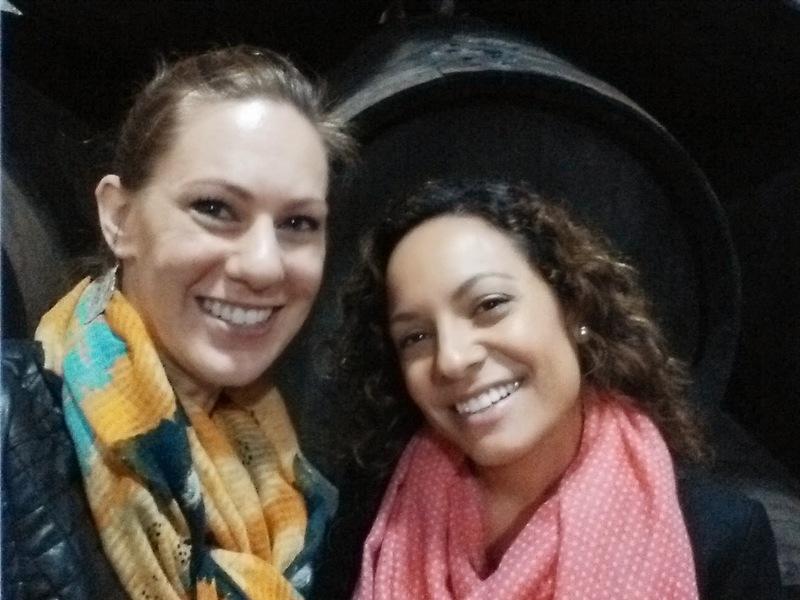 When I was planning for my April trip to the Sherry Triangle – I knew I had to escape to the city of Sanlúcar de Barrameda, the home of Manzanilla. Manzanilla is created just like Fino, but the climate and location of Sanlúcar gives the wine a salinity flavor not present in most Finos. Due to time constraints, I only had time for one bodega visit in Sanlúcar. 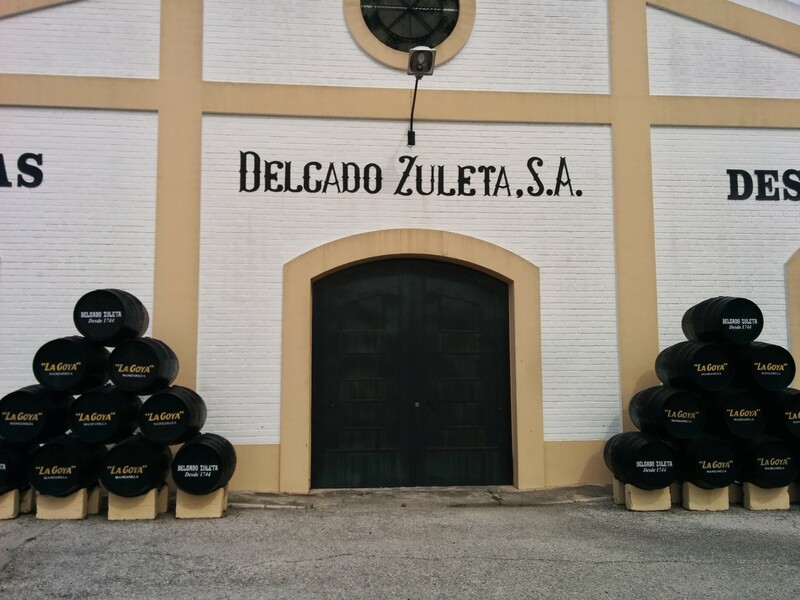 I made sure it was with Delgado Zuleta, the oldest firm in the Marco de Jerez with the most famous Manzanilla. I chose to take a taxi from Jerez because I didn’t want the hassle of figuring out the busses. Rubén was the sweetest driver. We chatted the whole way as we passed by windmills and vineyards. Once at Delgado Zuleta, he was willing to wait without running the meter! I walked into the retail store out front and said I was looking for Nuria de los Reyes. A happy face greeted me with, “You’re my blogger!” as she popped up from her desk. With that, Nuria led me outside to the vines growing along the main road to start the grand tour. As she told me about the history of Delgado Zuleta, we headed inside to a room full of their oldest documents. Although they were founded in 1744, some of the documents are dated back to 1719. She showed me a beautiful book on viticulture from 1879 with hand-painted pictures. Across the room stood a large cabinet full of proper sherry glassware through the centuries. Nuria explained to me that the typical cata vino copa, the a small tightlipped wineglass, is used in the bodega because they know the wines best by the way they smell and rarely have to taste them. They look for vanilla and coconut notes. If they smell something different, the barrel is removed from the solera pyramid. Even though the current building is from the 20th century, they do their best to maintain tradition when it comes to making their wines. They even use a traditional venencia made from bamboo. 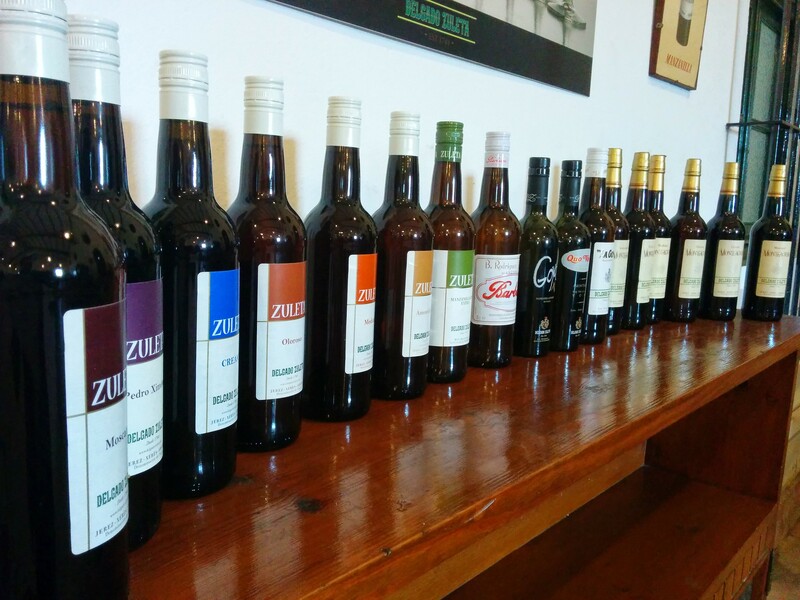 Nuria pointed out that Manzanilla is the only female sherry style. The most famous from Delgado Zuleta is La Goya Manzanilla named after a famous flamenco dancer in the early 1900’s. 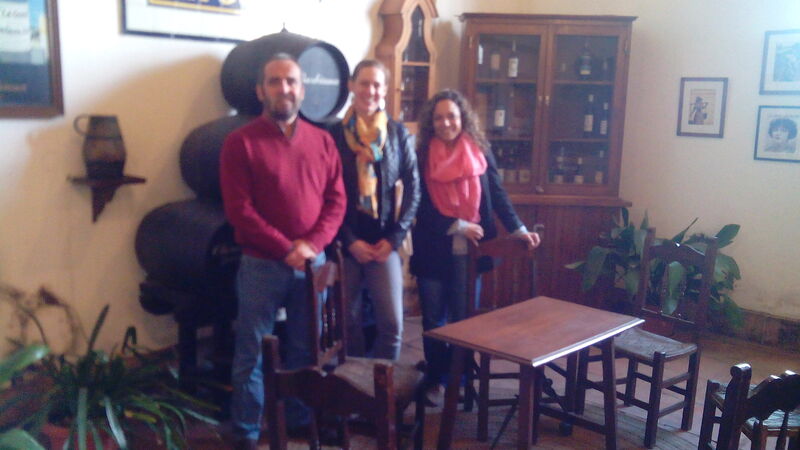 Although 90% of their production is Manzanilla, Nuria and I sat down with their oenologist Salvador for a flight of their premier sherry styles. First off was a refreshing glass of La Goya Manzanilla Pasada. It’s a richer, older Manzanilla in which the flor starts to fade and has a final average age between six to eight years. What I love most about Manzanilla that set them apart from Fino is the salinity. Next we tasted through four of their premium wines under the Monteagudo label each aged for 10-12 years: a rich Amontillado with lovely nutty notes; a savory Palo Cortado slightly softer than the Amontillado with strong notes of walnut and coffee; a full-bodied Cream with intense dried fruit nuances; a luxurious Pedro Ximenez, soft, warm and sweet with strong raisin flavor. Unfortunately, my phone died before our tasting began. I love recording all my visits and I’m disappointed not to have the conversation between Nuria and Salvador available for review. I really enjoyed hearing them compare what nuances they tasted as if they weren’t experts in their own wines. I’m so glad I was able to squeeze in this visit to Delgado Zuleta and was welcomed with such hospitality. All their wines – not just La Goya – are amazing down to the last drop!